Logos and branding schemes are often the first impression businesses give their customers. Your quest for graphics and branding solutions is over. Inter Smart can provide stunning designs and logos for your company. Importance of graphic design ads are increasing day by day. Graphic images and advertisements can easily attract the customers towards your company. World Wide Web is a messy platform for business enterprises. You need to analyze the pulse of internet, before creating advertisements. That’s exactly where our firm comes to save you. Our experts know how to draw the attention of customers towards your advertisements and graphical creations. In the case of web sites, these techniques can trigger a sudden visitors flow towards your URL. Before establishing a business enterprise, everyone will think about creating a good logo. Logos are extremely essential for developing a brand value. Inter Smart have experience in logo designing. Business logo design is not a simple process. We know the importance of conducting a study about the nature of your product. Logo needs to be simple, stylish, and effective. It is not just a fête of colors and patterns. Logos have to have something to convey. First letter of the brand name can be used to create logos. We can create innovative first letter logos for your company. Our firm never experiences a shortage of ideas. Though, your suggestions will be treated with absolute respect and contemplation. Every web site owner will have a concept about their logo and brochure, whether it is clear or vague. We will treat your opinions with proper importance. We can also suggest new methods and ideas. There might be many graphic design services in your locality, but no one can claim the professional excellence and quality service like us. Our affordable service is available 24 hours a day. For creating a brochure, technical knowledge alone is not sufficient enough. 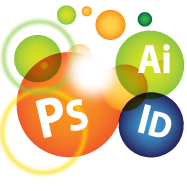 We can provide you the assistance of creative designers. They know how to bring brochure design, in to a whole new level. First of all, you have to give us all the information about the quality and specifications of your product or services. We will sort them and select key points to create brochure. The purpose of a brochure is to convey the significance and specialties of a product. We know exactly how to gather user attention, by creating attractive brochures. You can change the style, size, and even shape for inducing a fresh look. We can easily design contemporary, antique, and artistic brochures. Now, the service is available in cochin/kochi/Kerala. You can enjoy our reliable service without paying much money. It will be wise to stick with traditional style and techniques. We always give importance to readability, rather than style. People will read the content about your company, only if it is simple, clear, and straight forward. Inter Smart can also help you with all other graphic works. You can change the appearance of your web site drastically. The number of customers will increase, after implementing these strategies. For brochure designs are logo conception, Inter Smart is the best choice.